Colliers | South Florida is focused on delivering results for our clients by providing a full range of commercial real estate services to real estate users, owners and investors. We operate across the tri-county region in Miami, Fort Lauderdale, Boca Raton and Palm Beach Gardens. Our professionals are dedicated to providing exceptional service to our clients across the nation and around the world. The largest metro area in the Southeast and one of the fastest growing regions in the nation, South Florida is home to a vibrant and healthy economy with a population exceeding six million. Known as a global gateway to the Americas, South Florida is a major center and leader in international trade, tourism, finance, entertainment and the arts. South Florida serves as headquarters for more than 1,400 multinational corporations, including American Airlines, American Express, Citrix Systems, Oracle and Carnival Corporation with a diverse labor force and growing talent pool. Current economic indicators point to a growing and thriving economy attracting companies from across the world to expand or relocate to South Florida. Looking for information about the markets in South Florida or what properties are available from our Colliers professionals? Subscribe and get the latest information directly to your inbox! One of the easiest ways to stay connected with us is signing up for our email lists. We send out monthly Property Availabilities emails for the South Florida region that meet your specific interest or need. You can also click here to view and download an interactive PDF of all our available properties for lease, sale and lender-owned. Colliers | South Florida is deeply rooted in the local communities in which we live, work and play. Our eclectic and ever-evolving culture spans from Palm Beach south to Miami-Dade County. The vibrant food and music scene, paired with sunshine and beaches, has solidified the communities of South Florida as a backdrop for many creative and vital community organizations. From educational organizations such as The Council for Educational Change, to transformative-development groups like The Underline and youth-focused organizations such as the Wayne Barton Study Center, we are proud to have partnered with many of the same groups that weave the identity of our communities. Through a smart mix of fundraising and volunteering, we are able to give back to the neighborhoods and people that make South Florida our home. Colliers | South Florida was originally founded in 1990 in Miami, FL and now operates across the tri-county region in Miami, Fort Lauderdale, and Boca Raton. Colliers International is a full-service commercial real estate organization dedicated to providing exceptional service to our clients across the nation and around the world. Our service lines include tenant representation, landlord representation, retail, investment services, corporate solutions, consulting, project management, valuation and advisory and property management. Make sure you connect with us on social media! We love sharing experiences from our events or the local community with our clients and our people on Facebook, Twitter and Instagram. Follow us by clicking the icons below. 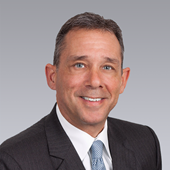 Ken Krasnow serves as Colliers Executive Managing Director for the South Florida region. In the role of Market Leader, he is responsible for all operations for the five Colliers offices in Miami-Dade, Broward and Palm Beach County. He is also responsible for broadening the company’s platform by developing key client relationships, leading major projects and transactions, maintaining senior real estate industry and political relationships and recruiting new talent. Ken brings more than 30 years of acclaimed expertise in the commercial real estate industry, offering an exceptional level of on-the- ground market knowledge. Since joining Colliers in 2015, Ken has overseen the tremendous growth of the business from less than two dozen professionals to more than 150 as of year end 2018 during which time the firm acquired high profile companies such as CREC, Pointe Group and MF&Co. During that same period, revenues more than quadrupled while maintaining solid margins of profitability. Krasnow launched his career as a commercial leasing broker and was responsible for more than three million square feet of Class A building agencies in New York City. As the markets in Florida continue to rapidly evolve, I am proud to have a responsive approach to management, curating talent and specialties to help us always provide best-in-class service for our clients and community.